Join the Council for Economic Education in highlighting smart financial decision-making throughout Financial Literacy Month in April by sharing an important financial decision you’ve made. How have you used your money to benefit yourself or others? Did you give it to a friend, family member or an organization in need? Did you save it for an emergency fund… use it for a vacation with a friend… to treat a child in your life to an especially fun day… to be able to change careers or start a new business…to pursue a new interest… to join a gym to get back in shape. 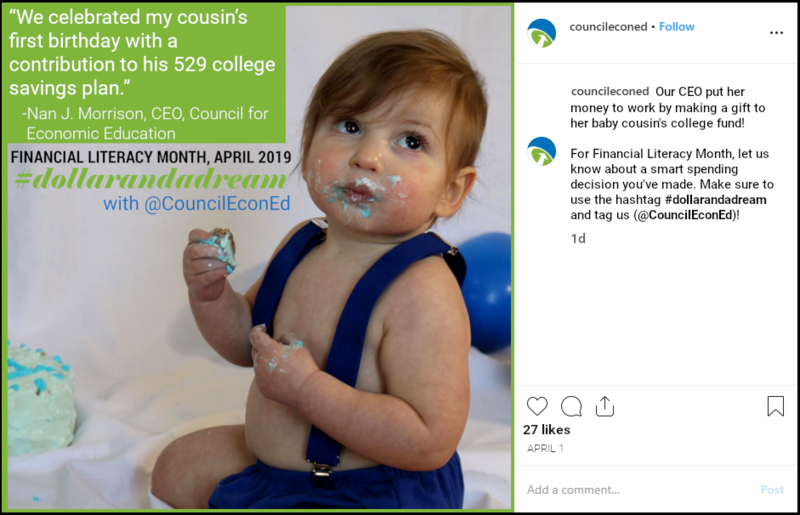 Share your story on Facebook, Twitter, Instagram, or LinkedIn with the hashtag #dollarandadream and tag @CouncilEconEd. We’ll feature a number of stories throughout the April, from the 1st to the 30th. 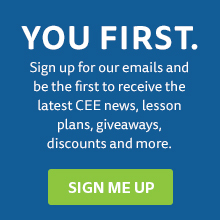 If you’re a teacher, we’d love to hear from your students! We encourage you to include an image or a video that best illustrates your decision, whether it’s simply you smiling as you think of the joy it brought you or others, the currency of the country for a special trip you took, or that coffee maker you bought that saved you money and endless trips to the coffee shop. The best thing I did with a dollar was ________. The best ($5, $10, $20, or money) I ever spent ________. I changed someone’s life by ________. A purchase of a few dollars saved me hundreds down the line: ________. …or, come up with your own! Happy posting! We very much look forward to hearing your stories!